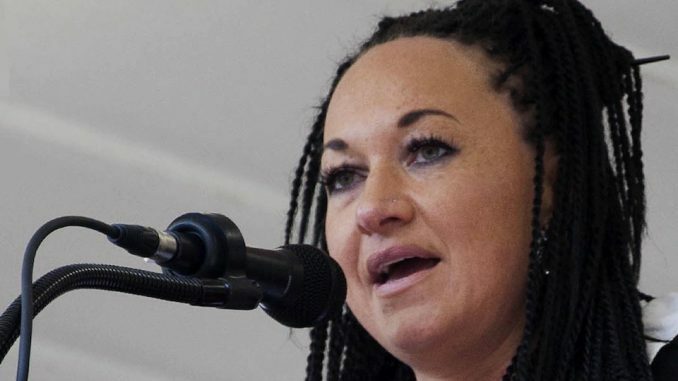 Former leader of NAACP, Rachel Dolezal, has told the BBC that she is now officially ‘transracial’ – meaning that she has transitioned from white to African American. In a bizarre interview with the BBCs Newsnight show Dolezal, 39, claims that “the idea of race is a lie,” and says that ethnicity is not biological. The notion that race could be a social construct, flies in the face of everything biologists have learned about humans in the last few hundred years. 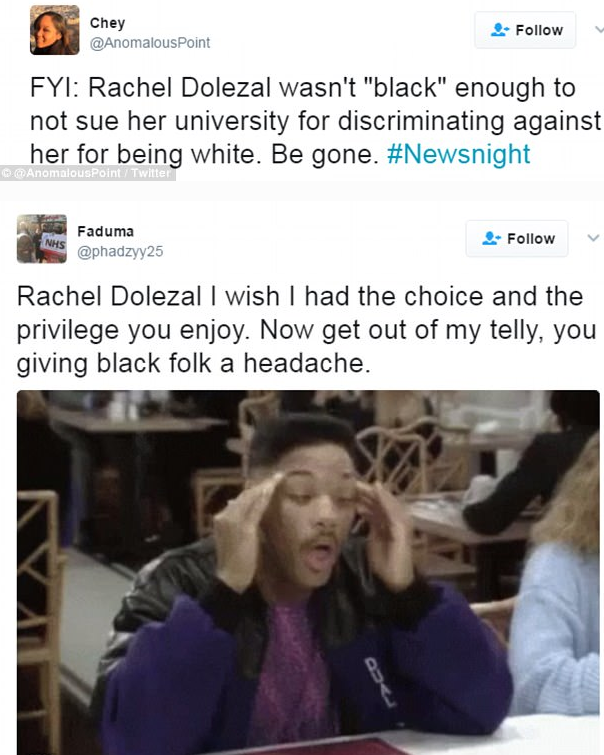 Following the interview, Twitter users criticized Dolezal’s comments, accusing her of using ‘white privilege’ to make her arguments. She added: ‘It’s not even biological. But what strikes me as so odd is that race isn’t biological either. ‘And actually race has been to some extent less biological than gender, if you really think about history and our bodies. 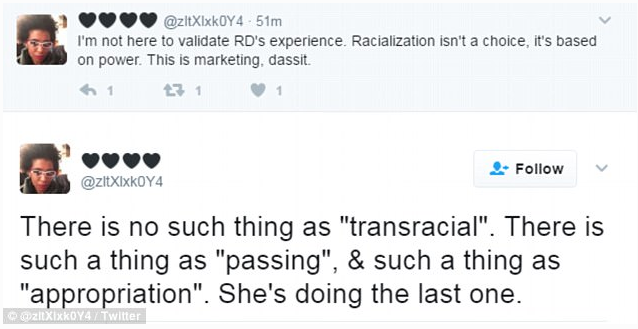 Critics online said that Dolezal was using cultural appropriation to become a black woman, and that Dolezal wanted to ‘steal things from other cultures to be trendy’. One person said that people can’t ‘become black’ because ‘at any moment what “makes” blackness can be erased’. 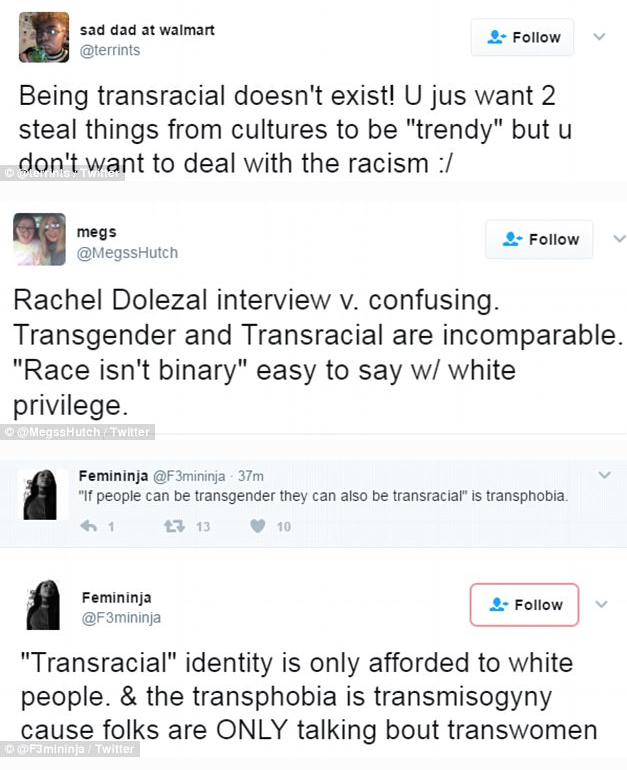 Some argued that the idea of being ‘transracial’ was ‘only available to white people’. 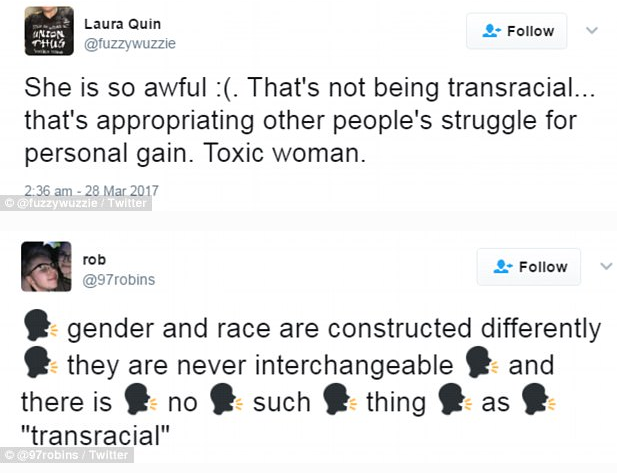 This isn’t the first time Dolezal compared acting as a black woman to being transgender. In 2015, she likened her situation to that of Caitlyn Jenner, who announced she was transitioning from male to female in April of that year. 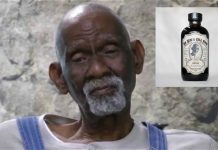 Dolezal told the Guardian that comparisons could be drawn with the 66-year-old former Olympian – arguing that people should not be defined by who or what they were at birth. Dolezal said: ‘Caitlyn Jenner has not been seen as a woman, and treated as a woman by other people, for her entire life. 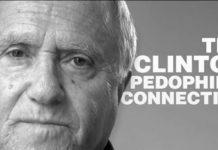 So what does that mean? What if somebody transitions as a teenager and their entire adult life we know them as a woman. 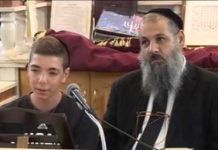 Dolezal also suggested people were ‘operating on an autopilot that race is coded in your DNA’.